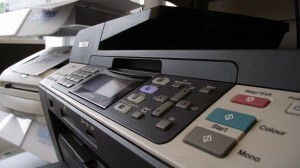 We offer a full repair service on all makes and models of inkjet and laser printers. As well as being authorised Brother Repair Centres this means that we are up to date on all the latest multi-function printers. We can provide cost per copy analysis for larger organisations and source cost saving solutions. Covering the spectrum from an inkjet to the top end laser printers. Brother printers are flexible and functional, whether you need a laser, colour, inkjet or all in one printer, Brother has a solution for you whether at home or in the office. The range of printers available at Brother are adaptable and are able to carry out all your printing requirements with ease. We are a Brother in-warranty and out of warranty repair partners offering the flexibilty of having one stop care on your door step for all your printer issues offering great jargon free, prompt advice. We offer a green recycling program and welcome your old used cartridges. Error: Error validating access token: Session has expired on Friday, 15-Feb-19 07:56:06 PST. The current time is Thursday, 25-Apr-19 07:01:44 PDT.